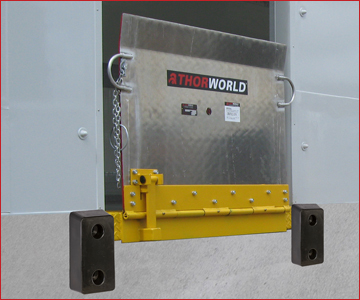 In the Loading Dock Area the lowest cost way of providing access to vehicles from a raised level is via the use of Dockboards, Dockplates or Bridgeplates, either singly or in Combinations of various Dock Plates, Dock Boards or Bridge Plates. 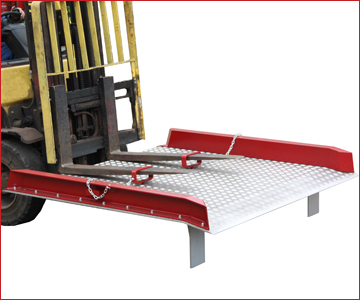 The Products are manufactured from High Tensile Aluminium, which give maximum strength with minimal weight. Please refer to our Regulations section for guidance regarding the legal weights that can be lifted by one person without the use of mechanical means i.e. Fork Trucks or Pallet Trucks. 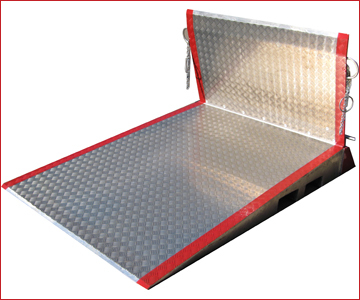 The three types of plate/ board available all have a patterned none slip surface incorporated for safety, along with either painted sidelines or safety side curbs painted red. The units are also crowned and bevelled to allow them to cater for the height differences for which they are designed and the bevel also allows smooth access to and from the Boards / Plates. The type of unit to be specified again depends on the application and the capacity required. 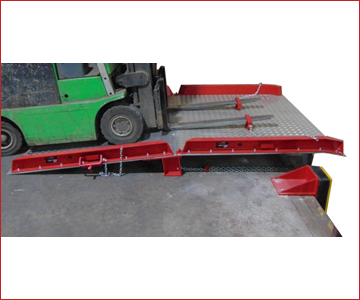 Dockplates are for the lower capacities and Dockboards the higher capacities, whereas the Hingeplates can only be used if a suitable dock edge is available to enable it to be fitted. 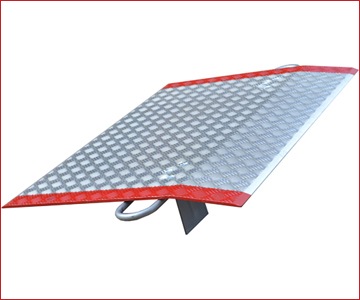 For height differences in excess of those covered by individual Plates / Boards, Ramp Combinations can be supplied in the form of Dockplate Ramps Combinations, Dockboard Ramps Combinations or Hinge Bridgeplate Ramps Combinations. We also offer a free site survey and quotation from one of our dedicated Sales Team to ensure that you choose the correct Product for your application.